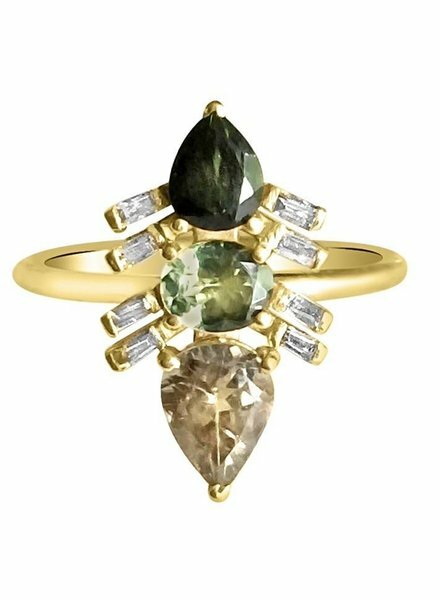 Eva's collection was designed, inspired and crafted to reflect the beauty of natural forms with the endless potential of blending color, shape and texture. 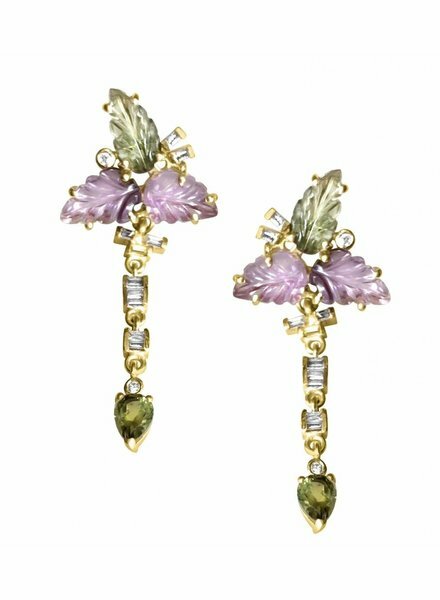 Eva wanted her second passion, gardening, to be reflected in her delicate collection created using baguette diamonds, tourmalines, faceted gemstones and 14k gold settings. 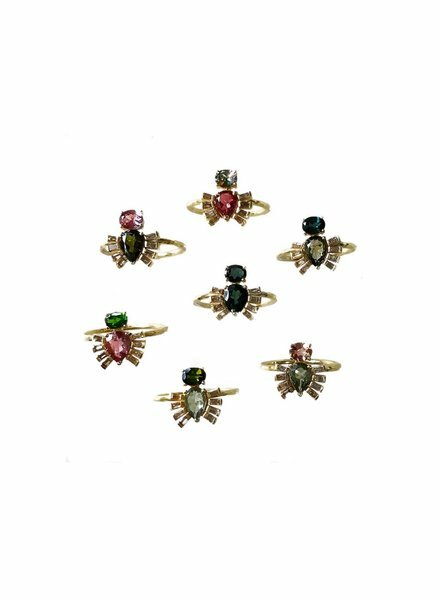 Her passion for anything botanical has inspired her collection filled with diamond-accented beetles, spiders and other worldly critters. 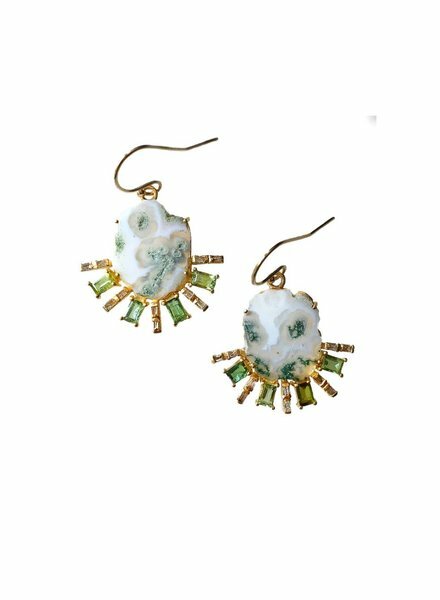 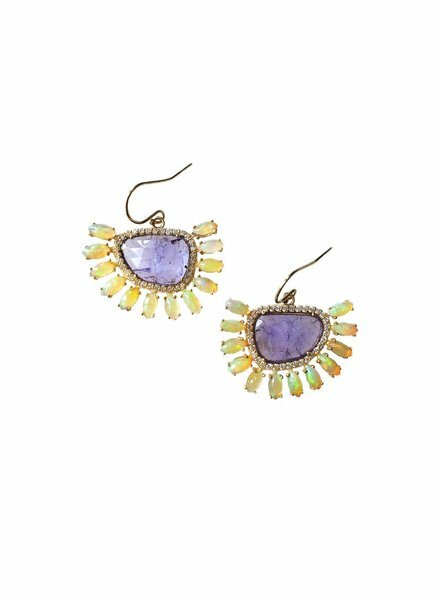 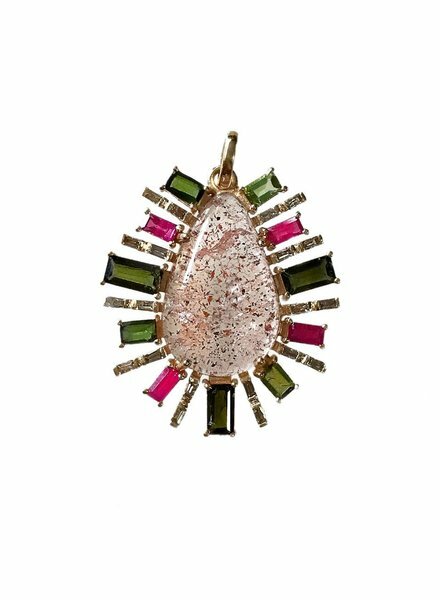 She sees the organic forms that are central to her designs as natural extensions of the body and is drawn to colorful irregular gemstones. 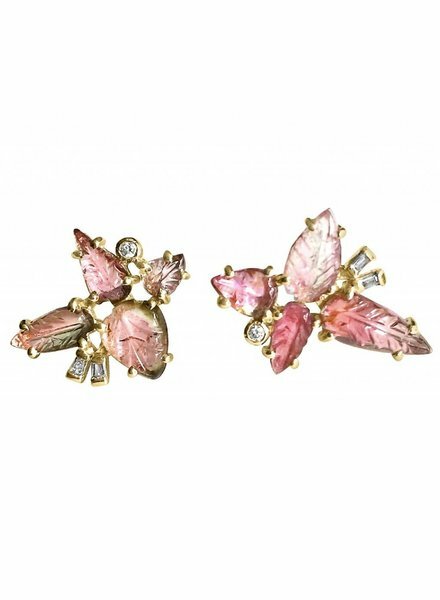 Eva puts her heart into each piece that she not only designs, but also manufactures with her own hands. 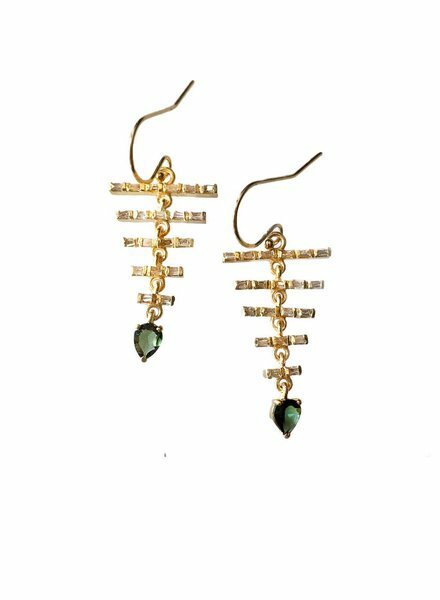 14K Yellow Gold & Diamonds Create the Perfect Heart Shaped Earring! 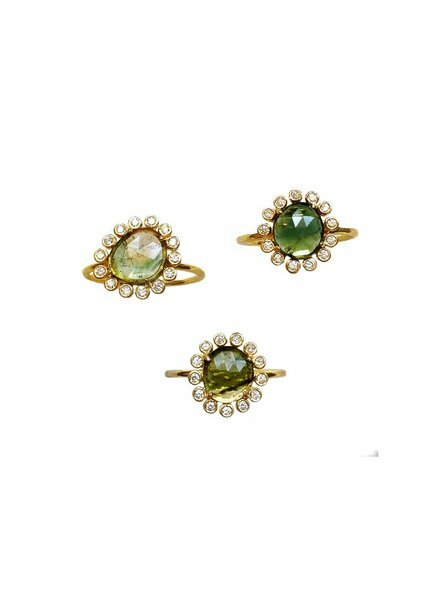 Green Topaz Set in 14K Yellow Gold with Diamond Baguette Accents. 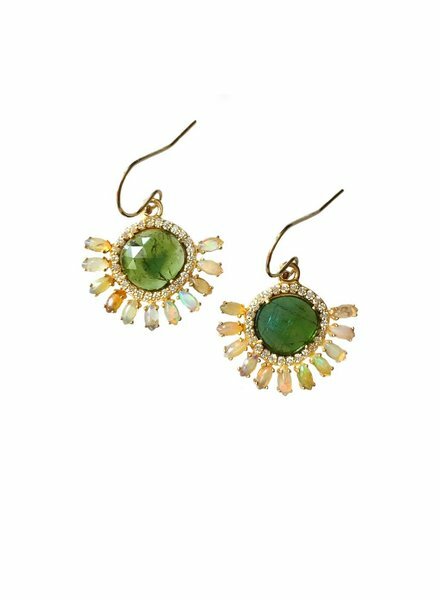 0.33 TCW. 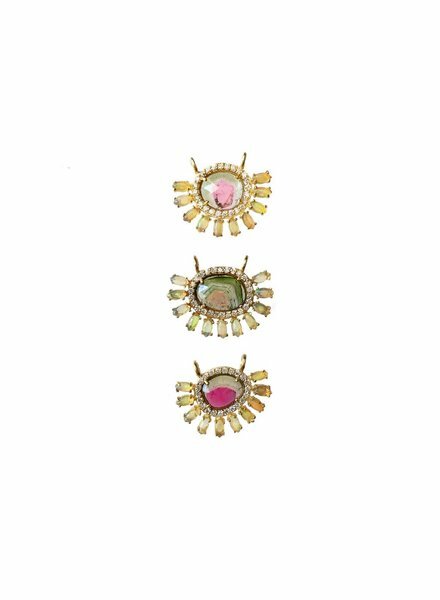 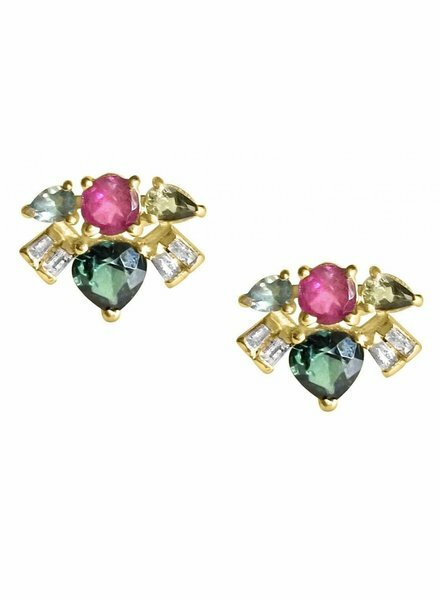 14K Yellow Gold Leaf Inspired Joy Studs with Pink Tourmaline, & Watermelon Tourmaline & Accents of Diamonds. 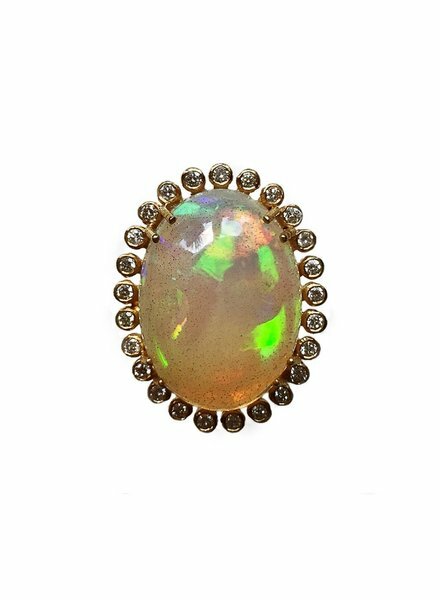 14K Yellow Gold, Tourmaline Slice Center Surrounded by Opals. 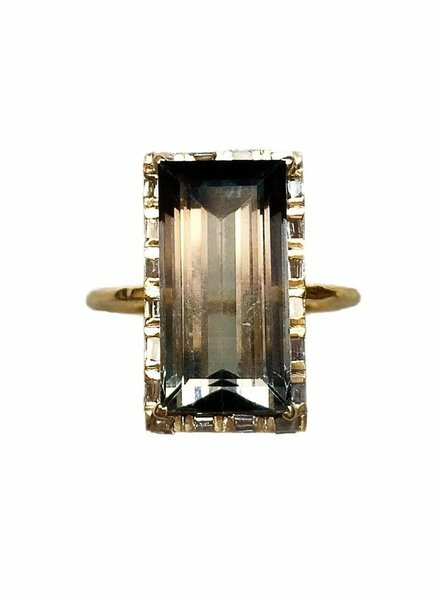 (Approx .26 TCW) of White Diamonds. 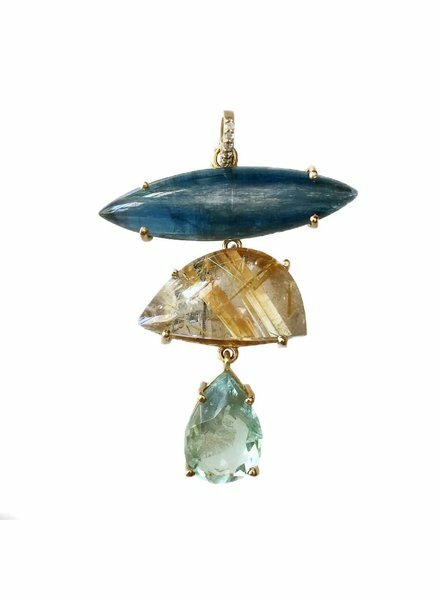 Pendent is Attached To a 18" Gold Diamond Cut Ball Chain. 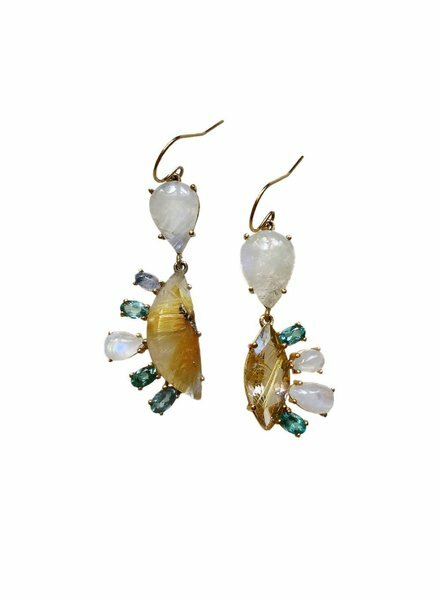 18K Yellow gold, Tourmaline, Kyanite, & Gold Quartz , Make This Matched Pair Unique. 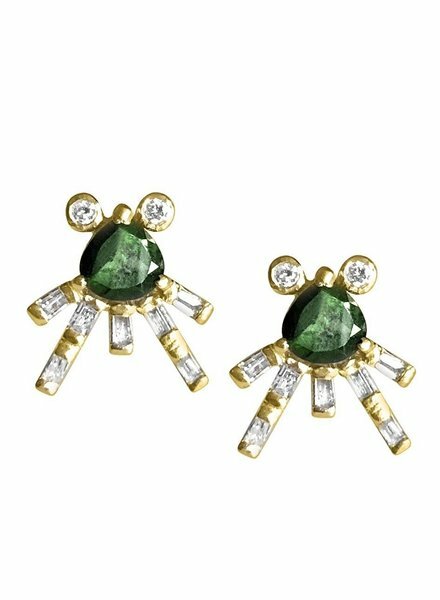 14K Yellow Gold Green Tourmalines, & Diamond Baguettes Give These Bug Inspired Stud Life! 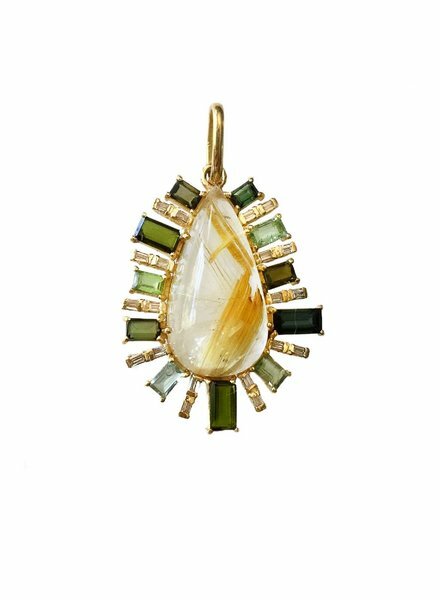 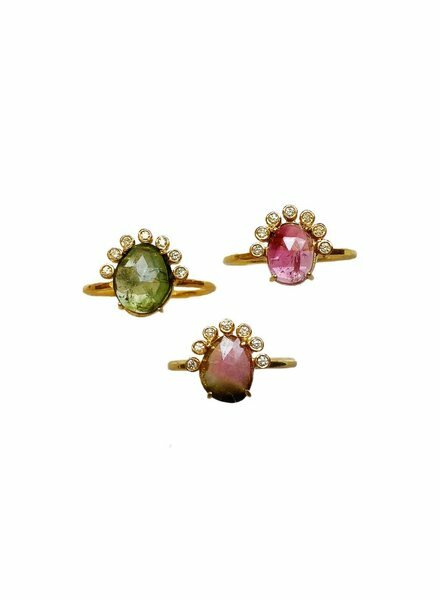 Solar Quartz, Tourmaline & 0.33ct of Diamonds Set in 14K Yellow Gold. 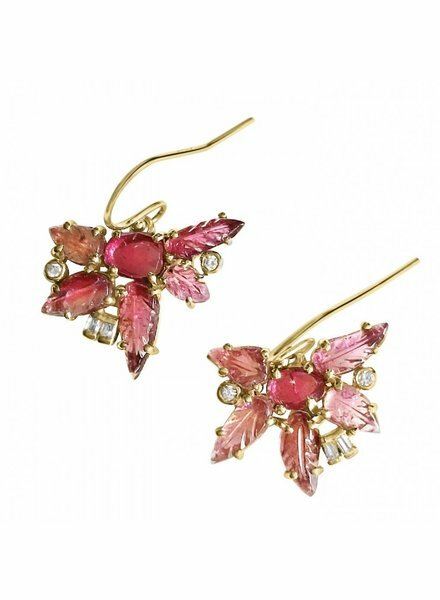 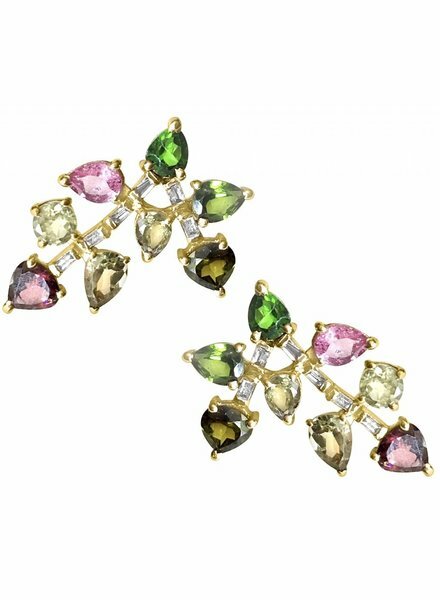 14K Yellow Gold & Mix Match Tourmalines & Diamond Baguettes Create these Leaf Like Ear Studs. 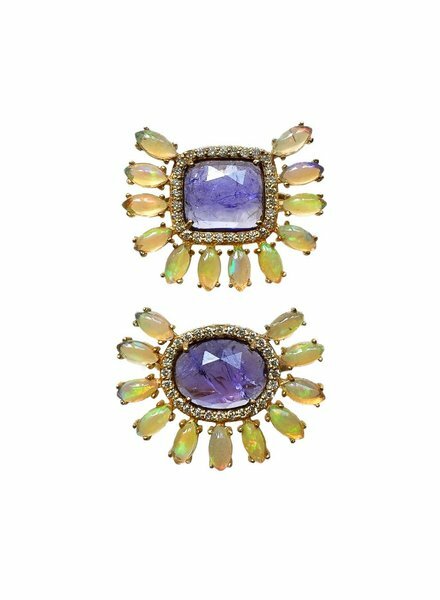 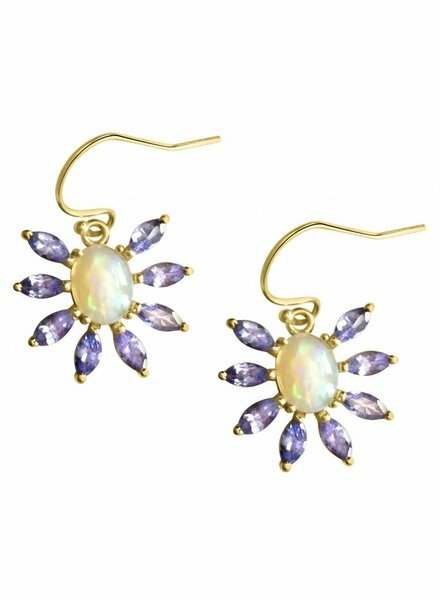 The perfect Day to Evening Earring!